Investing in real estate has become synonymous with a great deal of fundamental business practices, not the least of which include philanthropic initiatives. If for nothing else, charitable actions are amongst the best real estate marketing strategies an aspiring company can pursue, as they generate the positive exposure necessary to succeed in today’s competitive business environment. Remember, real estate marketing is as much about selling yourself as it is about selling your services. You need to sell people on the idea that you are their best option; only then will you be able to establish the following you deserve — marketing in its truest form. Remember one thing: The most loyal customers aren’t bought, but rather earned. If you can prove that your services are worth the price of admission, you are much more likely to develop meaningful relationships with your customer base, and there is no better way — at least that I am aware of — to generate loyal customers than a wholehearted, genuine commitment to philanthropy. More often than not — and rightfully so — the impact of a charitable effort is measured in the volume of those it set out to accommodate. It’s worth noting, however, that the benefits of a philanthropic initiative are typically far wider than many business owners anticipate. While the main objective is — and always should be — to give back, it’s entirely possible for a company to benefit in the process. In my experience, there is no better real estate marketing campaign than corporate philanthropy, as few vehicles can help business owners reduce risk, expand in new markets, build a trustworthy brand, reduce costs, advance systems, and deliver more loyal customers. In my opinion, there is no greater feeling, no greater satisfaction, than the prospect of making a difference in the very community I serve. 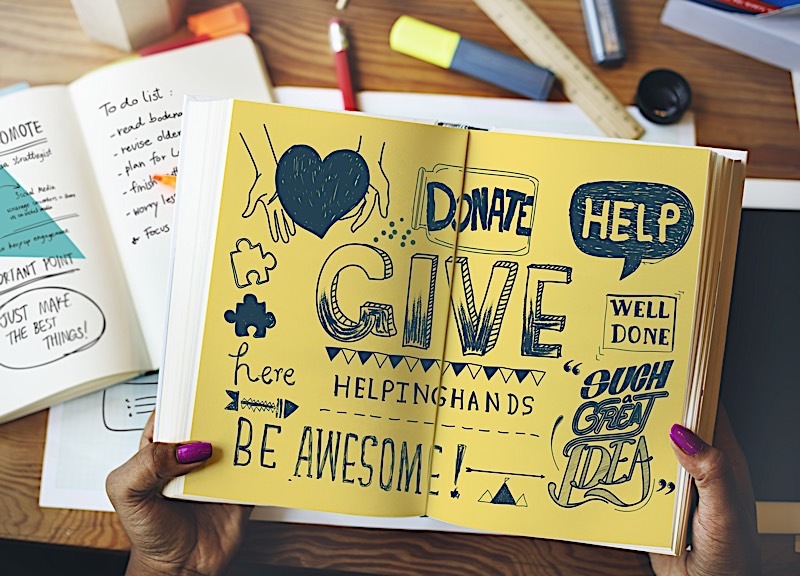 It’s worth noting, however, that charitable efforts aren’t without additional benefits; benefits that can go a long way in helping your own company succeed. And while I can’t stress enough how important it is for your charitable efforts to come from a genuine place, that doesn’t mean you can’t partake in the advantageous wake that follows. We have all heard it before; real estate is a people business (it always has been and always will be). That’s not to say you are in business to meet people, but it’s worth noting that those you surround yourself with play an important and immediate role in your success as an investor. Some would argue that it’s not what you know, but rather who you know. I, however, am convinced that you need a great deal of both knowledge and relationships if you hope to realize any level of success. There are a number of ways to go about building meaningful relationships, and philanthropy is no exception. In fact, there are few steps an investor can take that are better at building relationships than selfless acts of charitable kindness. Remember, people want to work with those they can trust, and few actions elicit more trust than placing the needs of others ahead of your own. While they may be viewed as unintended consequences, relationships are every bit the result of selfless acts. And for what it’s worth, those bonds are invaluable to any business looking to spread the word of what they do. After all, what is real estate marketing; if not for a way to increase brand awareness? Don’t hesitate to use the relationships you develop from philanthropic initiatives to your advantage; it may be the best real estate marketing move you ever decide to make. It has been said that “a well-developed philanthropic program will resonate with clients on a deep, emotional level that goes beyond any creative ad campaign.” Charitable actions contribute to a real estate marketing strategy in more ways than many could even fathom. Not unlike how philanthropy supports the creation of new relationships, it also helps build a credible brand image; the cornerstone of a great real estate marketing campaign. Provided your company decides to put it’s own philanthropic initiative into motion, there is a good chance it will receive some coverage. Whether or not it makes national news will depend on the act of kindness, but there is a good chance a local newspaper will want to cover your efforts. As a result, more people will be made aware of the brand you have already built. What’s more, they will associate your brand with the same charitable act you carried out; a powerful combination. The most important brand advocates for a company are those that understand it intimately, and who better understands a company than the people working within its ranks? That said, you are only hurting yourself if you don’t see the people you work with as a valuable real estate marketing tool. Employees that are proud to work for a company are much more likely to share their respective feelings, and in a world connected by social media, a few positive words can be echoed across the entire planet in a matter of minutes. It’s also worth noting that the more engaged employees are, the more they are going to express their positive sentiment. I have found that, at its core, philanthropy promotes employee engagement. Not surprisingly, employees are a lot more engaged when they know they can make a difference in the community they serve. In doing so, you will notice a fire that can’t be lit from your typical nine-to-five. There is something about giving back to the community that ignites a fire under employee’s feet. What’s more, it’s entirely possible for that passion to express itself in a way that creates a company culture; one that customers would be more than happy to support. Real estate marketing is all about putting your service in front of as many eyes as possible, and few things can increase your exposure more so than a genuine philanthropic initiative. What Is The Passive Income Tax Rate? Should I Get My Real Estate License? "A good real estate marketing plan starts with knowing what you need to accomplish. What should your foolproof marke… https://t.co/fgyc67ADtr "
Welcome to ThanMerrill.com, official home of Than's website and blog. Explore the site for more about his story, books, TV show, real estate classes and his real estate companies. Click here for media inquiries, interview requests or speaking opportunities. © 2019 Than Merrill. All Rights Reserved.